Jaipur, also known as India’s ‘Pink City’, encompasses everything that makes Rajasthan so wonderful; from the feudal romance of yesteryear, to the splendid jewel-filled palaces and the colourful bazaars. But where to rest your head? 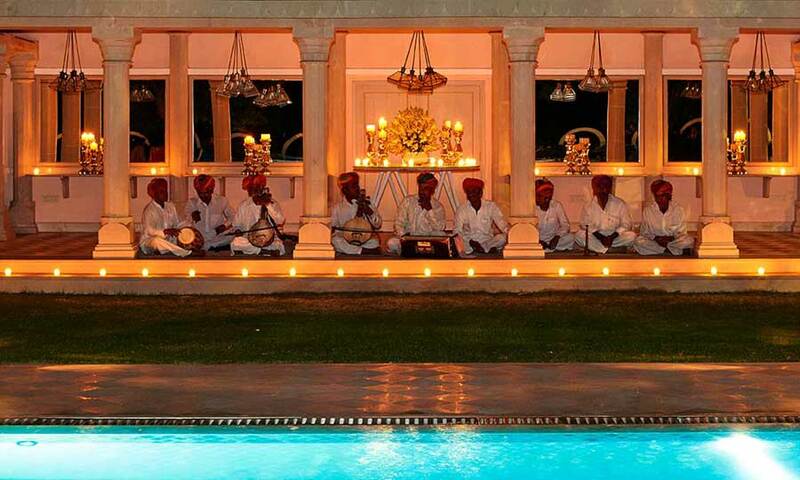 We’d recommend the Rajmahal Palace, a stunning luxury boutique hotel in the heart of Jaipur. 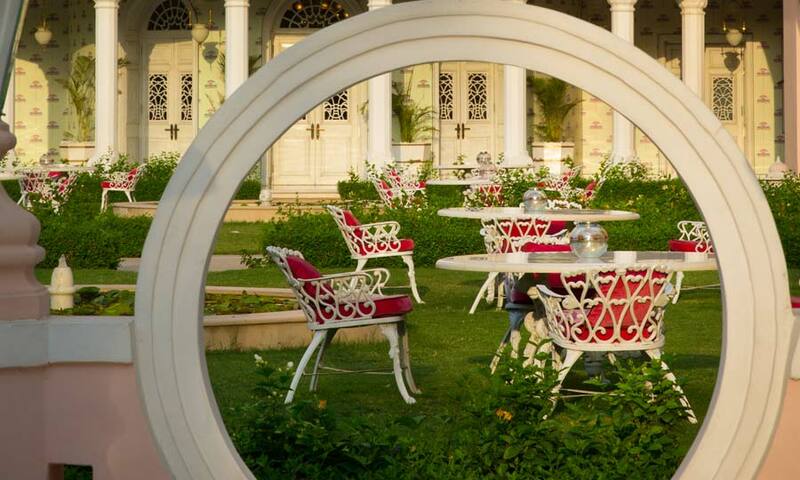 The Rajmahal Palace has lived many lives over its 250-year history. 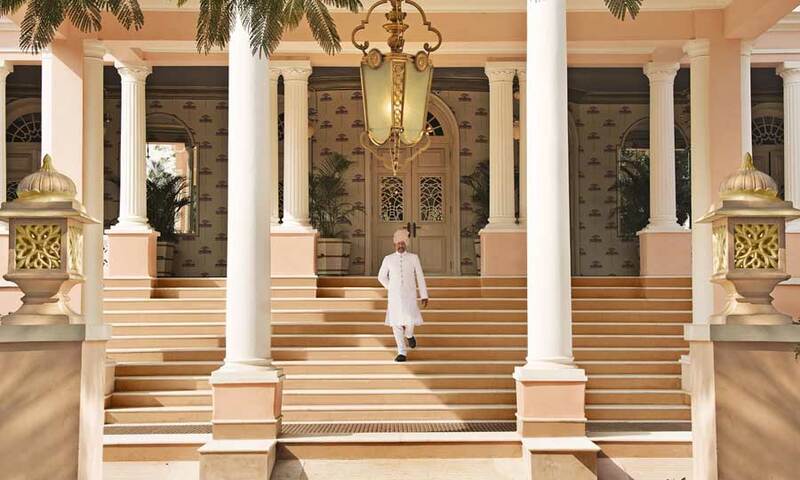 From its origins as a pleasure garden for the Maharani, to being taken over by the British as their official residence, the Rajmahal Palace was returned to the royal family of Jaipur after independence came to India in 1947. Today, it serves as what can only be described as one of the finest hotels in Jaipur; a spacious, glamorous and elegant space, bursting with history and local flair, unlike anywhere else in the world. 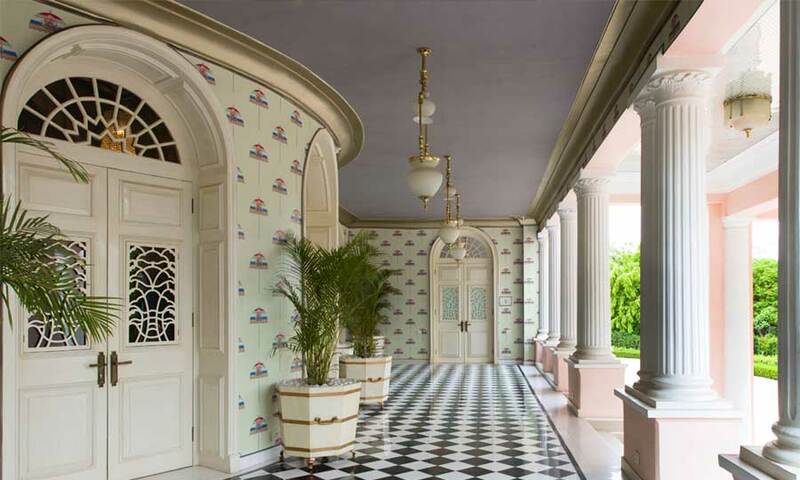 Stay here at the Rajmahal Palace and you’ll have absolutely no doubt where you are – the palace evokes the personality of Jaipur in every room, on every wall, and every cranny. 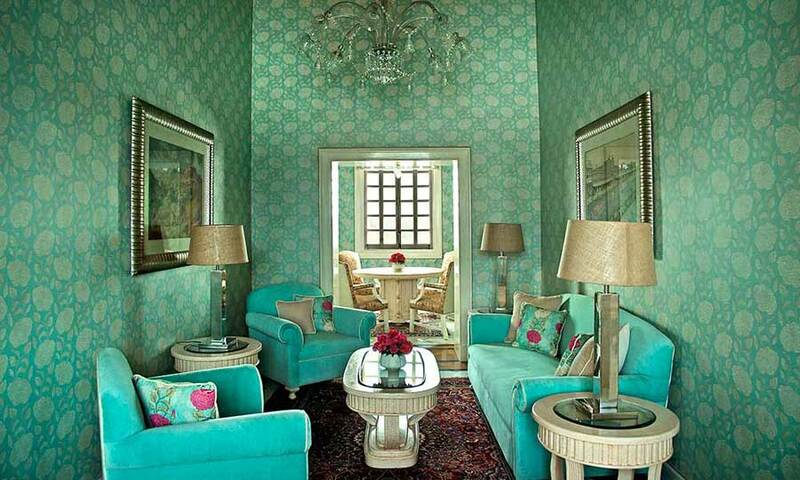 Lovingly and painstakingly renovated, every room and suite at the Rajmahal Palace has its own unique design. 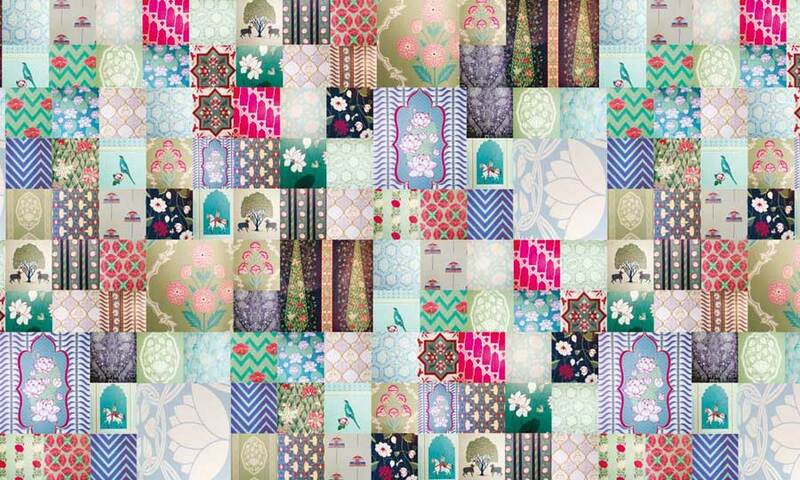 Bold, fresh and vibrant colours jump out of the (46 different types of) custom-made wallpaper, designed by Indian interior designer Adil Ahmad. Each room tells the many stories of this vibrant corner of the earth, its rulers, their legacies, and the collective history of Jaipur. For example, the Queen Elizabeth II Suite was once occupied by her Majesty during her State Visit in the winter of 1961. It boasts two bedrooms with en-suite bath, a dressing room, drawing room and dining room, all spread across 1530 sq. ft. 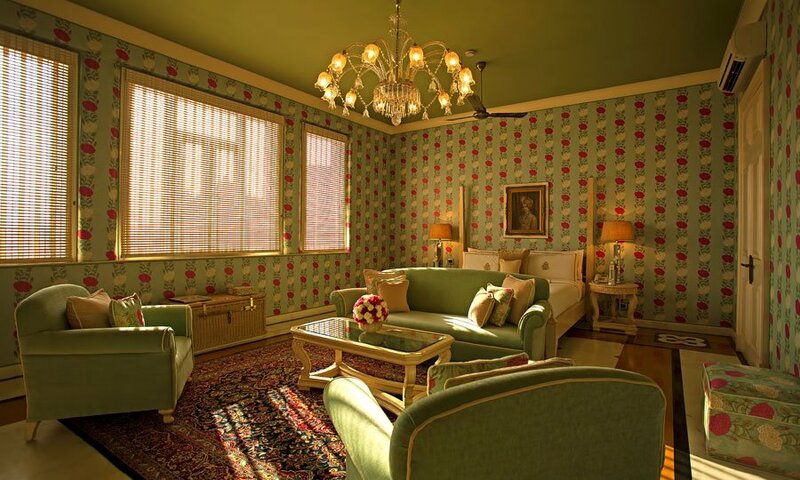 The Kennedy Suite, one of the Rajmahal Palace’s most requested suites, was named after the glamorous Jackie Kennedy. She stayed here in 1962 for almost three months during her well-documented trip to India. 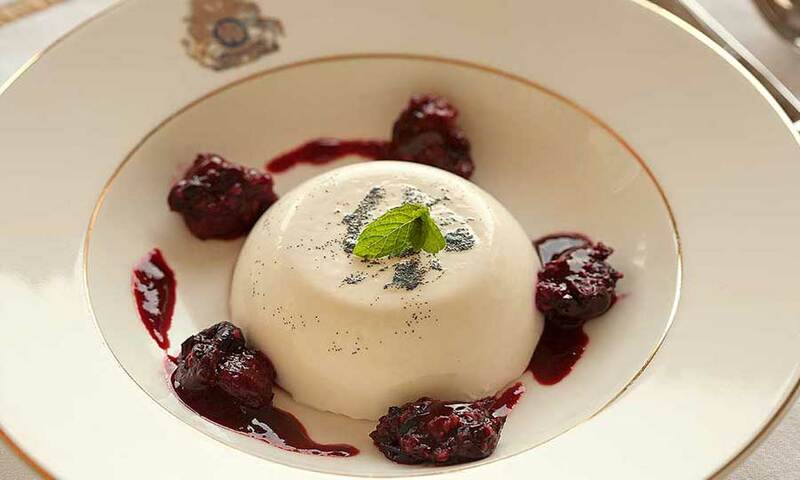 Despite boasting three restaurants, the Rajmahal Palace encourages guests to dine anywhere they like throughout the property. From a table on the lawns to a private set-up in your suite, the menu remains the same: a stunning Sujan creation of traditional Indian dishes alongside more familiar Continental favourites. 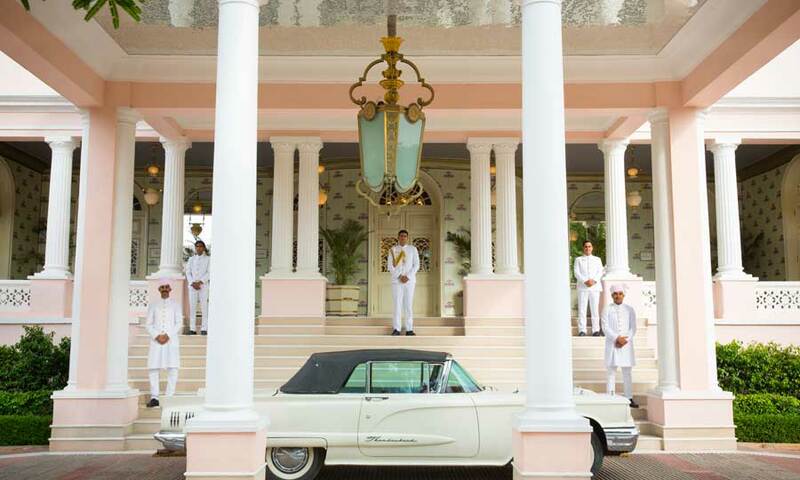 Breakfast is served in the Colonnade, whilst 50 Shades of Pink celebrates the city’s affectionate nickname (the Pink City). The Orient Occident is a more formal dining space and is a particular favourite of the Queen Mother, Rajmata Padmini Devi of Jaipur. The restaurant serves a number of traditional Jaipuri recipes which are now rarely encountered elsewhere. 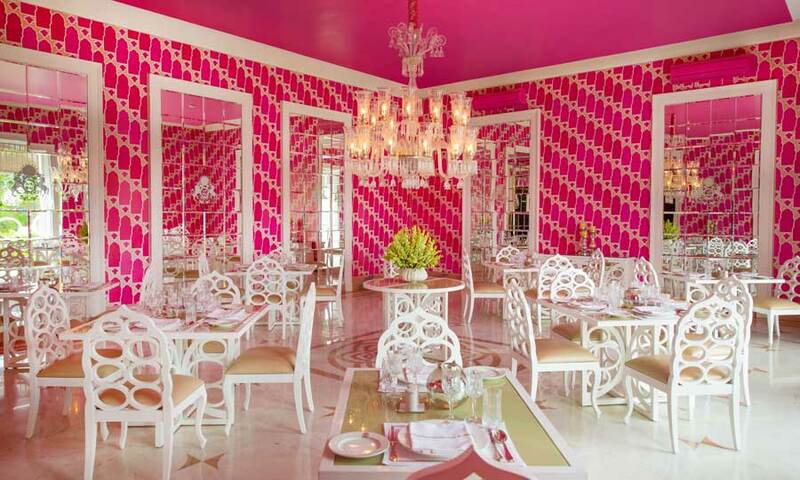 50 Shades of Pink is the name of this stunning restaurant, open for lunches, or for private dinners on request. And, before you leave to your next fabulous destination in Rajasthan (it may be the majestic Blue City of Jodhpur, the dreamy, fairytale like city of Udaipur, or even the magnificent Taj Mahal in Agra), don’t forget to indulge in a spa treatment at the Sujan spa. Located in the Rang Niwas, the Sujan spa offers a carefully selected menu of massages and traditional Indian ayurvedic therapies. 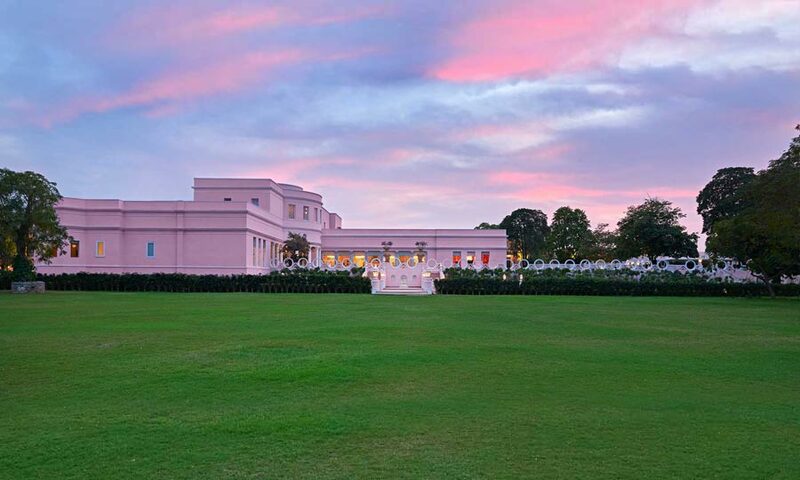 After, take a dip in the stunning art deco swimming pool for the ultimate Rajmahal Palace experience. If you’d like to include a stay at the Rajmahal Palace on your upcoming trip to Rajasthan, India, please do get in touch. As experts in tailor-made tours of this specific region we’d be an ideal match to assist with your arrangements, and as a preferred partner of the Rajmahal Palace, we’d love to share attractive savings and special offers.